Commuting on the subway (or even by car) doesn't usually lead to laughter or mirth. These twelve audiobooks are here to change all that by making you laugh so hard your fellow commuters will wonder what you're listening to. From celebrity musings to dark comedy to science, there’s something to tickle anyone's funny bone. Put your headphones on and cackle in the face of train delays, equipment failures, and crowds. In this Pulitzer Prize-winning novel, a struggling novelist accepts every invitation he receives to literary events around the world in an effort to avoid his ex-boyfriend's wedding. He travels to Paris, Berlin, Morocco, and more. The part in Germany is probably the funniest of them all. 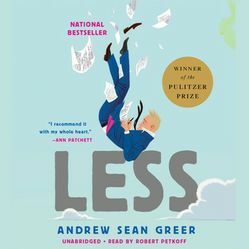 Less is beautifully written and lyrical, but also smart, poignant, and charming. I recommend it for anyone struggling to find or accept their true self. Korede's sister's last three boyfriends are dead, and Korede has cleaned up each mess. 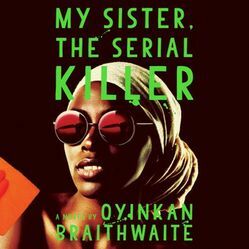 When the handsome doctor she is in love with asks for her sister's phone number, Korede's loyalty is tested...but that description hardly does any justice to how weird and brilliant Braithwaite's story is. 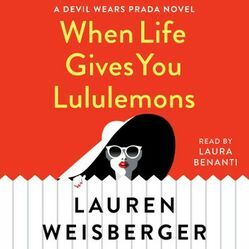 This audiobook is both dark and blazing, brutal and elegant; creepy and hilarious. 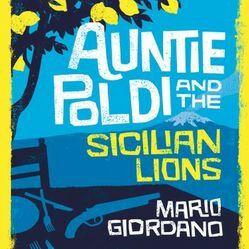 Spunky sixty-year-old widow Auntie Poldi moves to Sicily to enjoy her retirement in style. Instead, she becomes a murder suspect and falls for the detective assigned to the case. I love mysteries with unconventional main characters, and they don't get more lovable than the capricious Auntie Poldi, who is truly #goals. The incredible seaside Italian setting combined with the quirky characters make this a real treat. Have you ever wondered what happened to Miranda Priestly's catty assistant in The Devil Wears Prada? Emily Charlton went to work in Hollywood as an image consultant for celebrities, but she's been struggling recently. She finds opportunity when a friend of a friend, a former supermodel, is arrested for a DUI and is consequently abandoned by both her friends and her husband. To rescue her new client and herself, Emily must face the drama and scandal of wealthy suburban families. Popular high school senior Avery is suddenly single right before prom. She starts an oral history project to investigate why her numerous romantic relationships never work out. The narrative structure of this story really sets it apart, with Avery's exes, friends, and even enemies each getting to tell parts of the story. Plus, a sweet new romance develops along with Avery's journey of self-discovery. I definitely yelled "Just kiss, already!" while listening, but luckily I was in the privacy of my car. The audiobook, with a different narrator for every major character, is a delight to listen to. Some of the funniest books I've read have been romances. There's something about the combination of a strong romantic plot, peppered with humor that is downright scrumptious. Instead of quitting her demanding job, recent lottery winner Kiersten decides to take revenge on her jerk of a boss. When he realizes what's going on, he plans some shenanigans of his own. I couldn't resist listening to this after reading dozens of reviews about how funny it is. This seems like a light listen at first, but it's deceptive in the subtle way it skewers our human ability to normalize. In this post-apocalyptic satire, Candace continues going to work despite a world-shattering plague. She joins a group of survivors, but she's keeping a big secret from them. 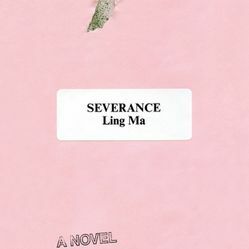 Severance is a sharp critique of our modern, contemporary world, but with a lot of heart to back it up. Parks and Recreation star Retta shares stories that take us from her decision to abandon medical school and through her pursuit of Hollywood success. Fair warning: you're definitely going to laugh, but you might also cry a bit too. 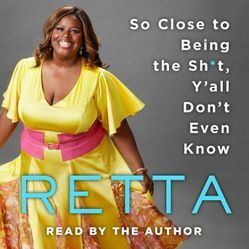 Retta's story, told with candor and plenty of self-reflection, will leave you rooting for her (and also yourself!) to succeed. 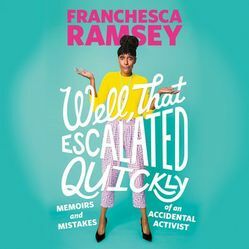 Franchesca Ramsey, video blogger and star of MTV's Decoded, explores the way we communicate with each other and provides insight on moving the cultural dialogue forward. The book includes Ramsey's personal stories, but also advice on dealing with trolls and the kind of people who say "I'm not racist, but..." This book will give you hope that we can make progress as a society with the help of tough conversations that come from a place of respect and truth. A collection of heartfelt and hysterical essays about living as a minority in our modern society. Arceneaux explores what it's like to love yourself when many people seem to want to drag you down. Unapologetic and dauntless, this book has been praised by Roxane Gay and compared to David Sedaris' work. 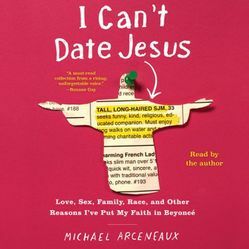 With an engaging narrative and sharp insight, Arceneaux turns his personal story into something we can all identify with and learn from. An educational and witty listen! 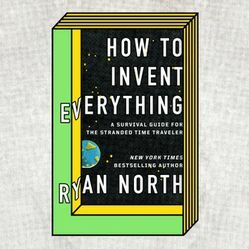 A guide for how to build the modern world from scratch if you ever find yourself stranded in the Stone Age. It's also a good book if you're simply interested in history, science, culture, and the foundations of civilization -- and also like to laugh. Everyone knows cats do what they want, and enticing them to do otherwise takes skill and patience. If you can successfully argue with a cat, persuading humans should be a piece of cake. 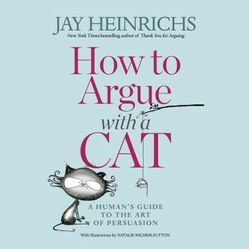 Heinrichs provides a guide for holding conversations, forming logical arguments, earning respect, and more. A great primer for beginners, but also a good reminder for those experienced in convincing others to see things their way. 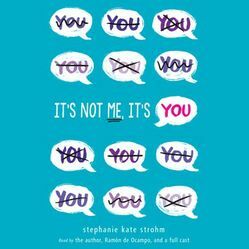 Sarah Nicolas is a recovering mechanical engineer, library event planner, and author who lives in Orlando with a 60-lb mutt who thinks he’s a chihuahua. Sarah writes YA novels as Sarah Nicolas and romance under the name Aria Kane. Follow Sarah on Twitter: @sarah_nicolas.